Jackson residents and park visitors are reminded that two roads within Grand Teton National Park will close to vehicle traffic for the season on the evening of Friday, October 31, 2014. These seasonal closures include the length of the Teton Park Road between Taggart Lake parking area and Signal Mountain Lodge parking lot, as well as the Moose-Wilson Road between Granite Canyon and Death Canyon trailheads. In addition to the annual road closures, the Moose, Moran and Granite Canyon entrance stations will be temporarily closed for the month of November and early December. They are scheduled to reopen on December 15 for the winter season. The Craig Thomas Discovery and Visitor Center in Moose is scheduled to be closed from November 2 to March 2, 2015. A short seasonal closure of the Discovery Center was implemented last year as a cost saving measure, and a substantial cost efficiency was achieved during that closure. Customary winter visitor services will be provided at other park locations and via online access or through phone contact. Education outreach programs to area schools will take place for the 2014/2015 winter season, as they have in previous years. Teton Park Road is not plowed after the first of November. However during the period of time that the Teton Park Road remains free of snow, visitors are welcome to use the roadway for other recreation such as walking, bicycling, and in-line skating. Once the snow begins to accumulate on the roadbed, winter season activities such as cross-country skiing, skate skiing and snow-shoeing become possible. Pets are only permitted on park roadways where vehicles are allowed access, and by special exemption, pets are allowed on the Teton Park Road year-round. However, pet owners are reminded that dogs must be on a leash no longer than 6 feet and under physical restraint at all times. Dog owners are required to clean-up their pet's waste, and mutt mitt stations are provided for that purpose during the off season months. In addition to road closures in Grand Teton National Park, the Grassy Lake Road in the John D. Rockefeller, Jr. Memorial Parkway will close for the season with the first major snowstorm. Additional announcements about winter season operations will be made in mid-December. 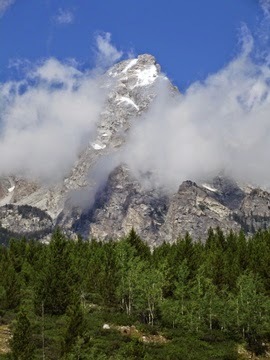 For more information on hiking in the Grand Tetons, please visit our brand new hiking trail website. The National Park Service is currently investigating reports of vandalism in at least 10 national parks in Arizona, California, Colorado, Oregon, and Utah. While the NPS can’t discuss details of a case under investigation, officials emphasize that they take the issue of vandalism seriously. National parks exist to preserve and protect our nation’s natural, cultural and historic heritage for both current and future generations. Vandalism is not only a violation of the law but it also damages and sometimes destroys often irreplaceable treasures that belong to all Americans. The NPS also emphasizes that there are forums for artistic expression in national parks because national parks inspire artistic creativity. These images are outside that forum and outside the law. Parks affected (awaiting confirmation) include: Grand Canyon National Park, Arizona; Yosemite National Park, California; Death Valley National Park, California; Sequoia & Kings Canyon National Parks, California; Joshua Tree National Park, California; Rocky Mountain National Park, Colorado; Crater Lake National Park, Oregon; Bryce National Park, Utah; Zion National Park, Utah; and Canyonlands National Park, Utah. 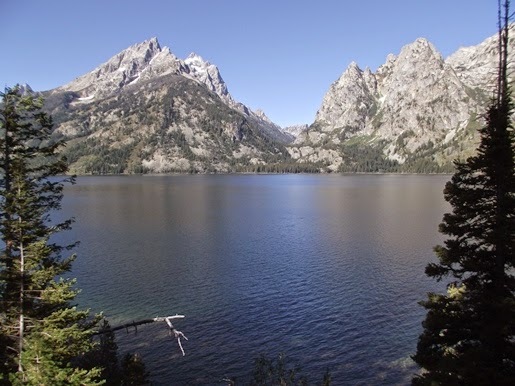 A comprehensive report on the status of the natural and cultural resources of Grand Teton National Park and the John D. Rockefeller, Jr. Memorial Parkway is now available for reference online. This report, titled Vital Signs 2013, is posted here. 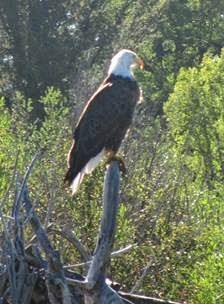 To protect and manage the wide variety of natural and cultural resources held within both Grand Teton and the JDR Memorial Parkway, resource management staff monitor and study individual resources as well as ecological processes—essentially the vital signs—of the park and parkway. Information on the state of key resources helps guide decisions made for their long-term management. Although data collected on some resources may be too limited to predict significant trends, the information gathered provides a baseline for future assessment of resource conditions. * Climate and Environment with a focus on air quality, water quality, fire, glaciers, soundscape, and climate. * Natural Resources with an emphasis on plants and animals that are, or have been, listed under the federal Endangered Species Act (bald eagle, gray wolf, grizzly bear, peregrine falcon), as well as species that have experienced declines in the ecosystem, or are of special concern due to a lack of data (golden eagle, great blue heron, greater sage-grouse, moose, trumpeter swan, and whitebark pine). Natural resource summaries also include species that are considered vulnerable (bighorn sheep, Columbia sharp-tailed grouse, common loon, pronghorn), and species that significantly impact the ecosystem and management actions due to their population size and movement outside park boundaries (bison and elk). Other species included are important indicators of ecosystem health because they are especially sensitive to environmental pollutants, habitat alteration, and climate change (amphibians and osprey). * Cultural Resources with attention to archeological sites, historic structures, and museum collections that are significant representations of the human evidence on park lands. These resources are inventoried, protected, and monitored to ensure protection for future generations. * Challenges related to nonnative plants and animals, grazing, park visitation, plant restoration, and the human-bear interface that are generally caused or largely influenced by human activity. "We are committed to educating the public about the natural and cultural resources of both Grand Teton and the Rockefeller Parkway, and so it's important that we share this Vital Signs 2013 report as a necessary step in that direction," said Superintendent David Vela. "We hope that anyone interested will take the time to review these findings and become better informed about our management activities related to the long-term conservation of these elemental resources." Starting Monday, October 27, a temporary area closure will be in effect for several trails within the Jenny Lake area of Grand Teton National Park. The temporary public closures are necessary to ensure public safety during construction activities involving helicopter-assisted transport of heavy material to trail locations on the west side of Jenny Lake. 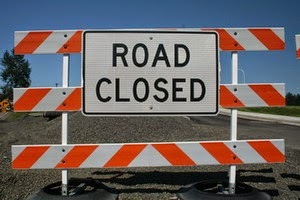 The public closure will last from October 27 through October 30, and possibly longer. For safety during the staging of several loads of construction materials, trails leading from the Jenny Lake boat launch area to Hidden Falls, Inspiration Point, and the Moose Ponds trailhead will be closed to all public access. Signs will be posted throughout this closure area, and park staff will be positioned to provide suggestions for alternate routes/detours for anyone visiting this area of the park. Areas not affected by this temporary public closure include: the Teton Park Road; Jenny Lake scenic loop road; access to Cascade Canyon via the Horse Trail; access to Jenny Lake via the String Lake parking lot and trailhead; and access to the Lupine Meadows parking lot and trailheads. This slight and temporary inconvenience will be short-term in nature. Park managers appreciate the public's cooperation in observing all posted closure notices in the Jenny Lake area. This transport of rocks and other construction materials via helicopter is part of the Jenny Lake Renewal project. Work on the backcountry trail system from the west shore of Jenny Lake to Hidden Falls and Inspiration Point will continue during the summer of 2015. Detour routes will be well marked for visitors wishing to reach Hidden Falls or Cascade Canyon during the 2015 hiking season. Montana State Parks is seeking public comment on a draft Strategic Plan. This plan, Charting a New Tomorrow, establishes a shared direction for Montana State Parks and Recreation programs through the year 2020. The draft plan was prepared with guidance from the Montana State Parks & Recreation Board to address longstanding resource challenges and propose solutions to moving the park system forward given the available resources. The plan proposes a number of targets and actions to develop diversified and sustainable funding for the Parks system and statewide recreation programs. It will also seek to foster strategic partnerships and build an engaged constituency to ensure the success of Montana State Parks and outdoor recreation across the state. Throughout the planning process, the Parks Division conducted internal and external outreach; including a staff survey, evaluation of statewide recreation trends, and a series of 8 community listening sessions around the state which engaged over 117 Montanans, organizations, and partners. Montana State Parks provides diverse, family-friendly, affordable, and enriching recreational opportunities to more than 2 million park visitors each year. Additionally, the Division supports community recreation through its four grant programs, and is an essential component of Montana’s multi-billion dollar tourism and recreation industries. The plan outlines five goals designed to enhance the park system and uphold the Montana State Parks brand promise; providing significant, relevant and accessible parks that preserve and protect our historic, cultural, and recreational resources for the future of Montana and all people. On October 15, 2014, the Montana State Parks & Recreation Board proposed that the draft strategic plan be made available for a 30-day public comment period. The draft strategic plan can viewed on the Montana State Parks website, public comment page, direct link here. For more information about the statewide public meeting contact Maren Murphy at (406) 444-3364. In addition to being a great source for trail information, we designed the site to be an excellent tool for vacation planning as well. We’ve included a lot of travel information that will be helpful while planning your vacation. Even if you have no plans on traveling to the Grand Tetons, I hope that you might enjoy some of the photographs on the site. If you know of anyone planning a trip to Grand Teton National Park, or any hikers in general that may be interested, please feel free to forward the website onto them. Thanks again for all of your support! We would also love to hear any feedback you might have. The Crown of the Continent Research Learning Center at Glacier National Park is hosting a brown-bag luncheon presentation by Glacier National Park Archivist Deirdre Shaw on Tuesday, October 21st, from 12 p.m. to 1 p.m. at the park’s community building in West Glacier. Shaw’s program, “Not Just An Admiring Audience: Adventurous Women of Glacier National Park,” will highlight some of the extraordinary woman that have lived and worked in the park. Shaw will use oral histories, archival documents and photos to share stories about some of the female characters of the park’s history. This program will be the last of a series of brown-bag luncheons for 2014 hosted by The Glacier National Park Crown of the Continent Research Learning Center. Programs for 2015 will begin in the spring. Please click here. The 2014 elk reduction program begins Saturday, October 18, in Grand Teton National Park. Changes that were implemented in 2013 will be continued for the 2014 season. Those changes include: a requirement that hunters participating in the park's elk reduction program use non-lead ammunition; a limit to the number of cartridges hunters may carry each day; and the closure of a portion of the Snake River bottom to reduce the chance of grizzly bear-hunter encounters. Under its 1950 enabling legislation, Grand Teton National Park is authorized by federal law to conduct an elk reduction program—when necessary—for conservation of the Jackson elk population. 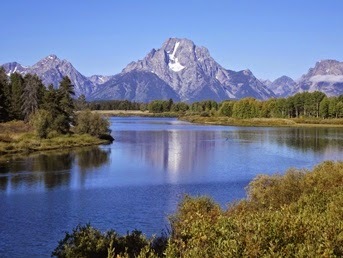 The legislation also directs Grand Teton to jointly develop this program with the Wyoming Game and Fish Department, and for the Governor of Wyoming and Secretary of the Interior Department to approve the annual plan. Biologists and administrators from both agencies have reviewed available biological data and concluded that the 2014 program is necessary to keep the Jackson elk herd at, or near, objective and maintain a desired distribution of elk throughout their natural range. The park's elk reduction program is an important management tool that differs somewhat from other elk hunting programs in the region. The use of archery, hand guns, or other non-center fire ammunition rifles is not permitted, nor is the use of artificial elk calls. In addition, hunters, regardless of age, are required to carry a hunter education card, and to carry and have immediately accessible bear spray as a non-lethal deterrent for use during potential bear encounters. Information packets accompanying each permit warn hunters of the risk of bear encounters and offer tips on how to minimize the probability of human-bear conflicts. The need for this reduction program stems partly from an intensive management framework that includes annual winter feeding programs on the National Elk Refuge and in the upper Gros Ventre drainage.Feeding sustains high numbers of elk with unnaturally low mortality rates. 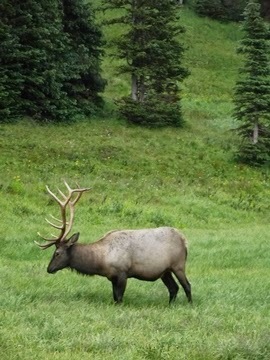 A majority of elk that are fed during the winter on the Refuge also summer in Grand Teton National Park or use migration routes across park lands. The reduction program targets elk from three primary herd segments: Grand Teton, southern Yellowstone National Park, and the Teton Wilderness area of Bridger-Teton National Forest. Each fall, park rangers intensively monitor and patrol elk reduction areas to ensure compliance with rules and regulations, interpret the elk reduction program to visitors, and provide hunters with information on local conditions associated with this wildlife management policy. Seeing the epic scenery of Glacier National Park first-hand, can be an almost spiritual experience. Its beauty and majesty are legendary, which is why it’s such a popular destination for visitors from around the globe. You can enjoy the area by driving along the 50 mile long ‘Going to the Sun’ road but to truly experience the full splendor, throw on your boots and backpack and hike those trails (you’ve got 700 miles to choose from). Of course mountains, meadows and waterfalls aren’t the only reason tourists flock to the park. It offers good opportunities to view a wide range of wildlife, including bison, lynx, mountain lions, bighorn sheep, elk, wolverines, and of course bears. Although the park is also home to black bears, the grizzly is what most visitors come to see – from a safe distance. Weather in Glacier is very changeable, so sturdy, waterproof clothing is essential. Because of its elevation and northerly position, it can snow at any time of the year, so make sure you bring a hat and gloves. The hikes can be many miles long and depending on the trail, can take all day, so you’ll need a stout pair of hiking boots, as well as a comfortable backpack. All the necessary clothing and equipment can be found at e-outdoor.co.uk. You can visit the park every day of the year and while it’s quieter in Fall, when you can see the beautiful color changes, most of the lodges and concessions close at the end of September, so you’d have to be more self-reliant. While you can never guarantee seeing a grizzly, trails in the Many Glacier Valley (Iceberg Lake Trail, Cracker Lake Trail, Grinnell Glacier Trail); on Huckleberry Mountain (Huckleberry Lookout Trail) and in the Logan Pass area (Hidden Lane Trail, Highline Trail) on average, get the highest reported sightings. It’s recommended that you never hike alone; groups of four or more are safest. The most sensible option is to go on a ranger-led hike. While spotting a bear in the distance is magical, up close and personal can be very dangerous. To avoid that happening, make noise along the trail by clapping and shouting every few minutes. Most grizzlies avoid humans and will leave if they hear or see you coming, but some have become somewhat bolder and may stay on the trail. The National Park Service has produced some excellent guidelines for staying safe in bear country. The U.S. Forest Service will waive fees at most of its day-use recreation sites several times in 2015, beginning with Jan. 19, in honor of Martin Luther King Jr. Day. No fees are charged at any time on 98 percent of national forests and grasslands, and approximately two-thirds of developed recreation sites in national forests and grasslands can be used for free. Check with your local forest or grassland or on Recreation.gov(link is external) to see if your destination charges a fee. Fees are used to help cover the cost of safe, clean facilities. Use the Forest Service map to find a national forest or grassland near you. • Feb. 16: Presidents Day, honoring our nation’s Presidents with particular attention towards commemorating President Washington and President Lincoln. • June 13: National Get Outdoors Day, a day when federal agencies, nonprofit organizations and the recreation industry encourages healthy, outdoor activities. • Nov. 11: Veteran’s Day, commemorates the end of World War I and pays tribute to all military heroes past and present. Agency units plan their own events. Contact your local forest or grassland for more information. The last fee-free period for 2014 is Nov. 8-11 in honor of Veteran’s Day. Yellowstone National Park recorded its highest ever September visitation in 2014. A total of 571,764 recreational visitors came to Yellowstone in September. That is an increase of 2.48% compared to the September 2013 numbers. There were a total of 3,288,804 recreational visits to Yellowstone during the first nine months of 2014, which represents an increase of 5.68% over the same period in 2013. With three months left in the calendar year, Yellowstone has already received more visitors in 2014 than it did the entire previous year. Park visitation in 2013 was 3,188,030, the fifth highest visitation year in the park’s history. A Utah climber required a helicopter rescue after falling on the Lower Exum Ridge of the Grand Teton on Sunday, October 5th, at Grand Teton National Park. Rangers were able to conduct the late season rescue despite low staffing levels and challenging weather conditions. Climbers in the Teton highcountry this time of year should expect winter conditions and plan for slower rescue response times. Tomasz Misiewicz, 39, of Murray, Utah was climbing with a partner below the first pitch of the Lower Exum Ridge when he fell approximately 20 feet and sustained a leg injury. Misiewicz’s first piece of rock protection failed during the fall. He had taken a smaller fall without injury moments earlier on the same piece of rock protection, possibly contributing to the failure. Misiewicz’s partner was able to lower him to a ledge and contact Teton Interagency Dispatch Center (TIDC) via 911 shortly after the accident. TIDC received the cell phone call for help at 11:15 am. Fortuitously, three seasonal climbing rangers, all of whom had completed their seasons and were making preparations to return to their winter homes, were available to assist from the Lupine Meadows Rescue Cache. Additional permanent climbing rangers were also able to assist. High winds and rapidly changing cloud conditions were a concern for the rescuing rangers. They were able to conduct a reconnaissance flight with a Teton Interagency contract helicopter and determined that a short-haul evacuation was possible. Two rangers were taken to the Lower Saddle by helicopter and made their way to the scene of the accident. The helicopter later returned and evacuated Misiewicz and an attending ranger via short-haul to the Lupine Meadows Rescue Cache where he was transferred to a park ambulance and transported to St. John’s Medical Center in Jackson, Wyoming. The helicopter later returned to the Lower Saddle and extracted the remaining ranger and Misiewicz’s partner. Rangers advise climbers to expect winter conditions in the Teton highcountry at this time of the year. Additionally, all seasonal climbing rangers are now off duty for the season, meaning limited staff is available for climbing rescues. The Teton Interagency contract helicopters will no longer be available after October 21st, making mountain rescues more lengthy and challenging. Climbers should use an abundance of caution in the Tetons and recognize that response times for rescues could be lengthy. We have confirmed our operating dates for next summer. Granite Park Chalet will open July 1 through September 11, 2015. Sperry Chalet will open July 10 through September 11, 2015. We will begin accepting reservations on October 27. Both chalets can be reached from several trails, including the Highline Trail to the Granite Park Chalet, and the Sperry Trail to the Sperry Chalet. 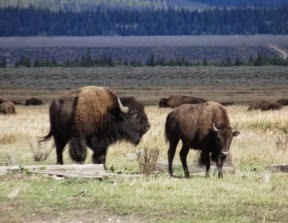 Three cases regarding the use of unmanned aircraft in Yellowstone National Park have resulted in three convictions. Donald Criswell of Molalla, Oregon, had been charged with violating the ban after he flew his unmanned aircraft over the crowded Midway Geyser Basin and close to bison on August 19. On Thursday afternoon, October 2, he plead guilty to the charge of violating a closure and was fined $1,000 plus court costs. In late September, Theodorus Van Vliet of the Netherlands entered a guilty plea in connection with an August 2 incident where his unmanned aircraft crashed into Grand Prismatic Spring. He was fined $1,000 and ordered to pay over $2,200 in restitution. Earlier in September, Andreas Meissner of Germany plead guilty to charges arising from operating an unmanned aircraft which crashed into Yellowstone Lake near the West Thumb Marina back on July 18. Meissner was sentenced to a one year ban from the park, was placed on one year of unsupervised probation, and was ordered to pay over $1,600 in fines and restitution. 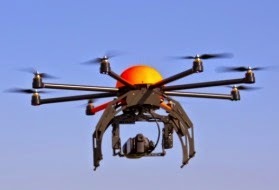 All three successfully prosecuted cases arose from well documented violations of the prohibition of the operation of unmanned aircraft along with other violations of park regulations or impacts to park resources. The regulation was enacted due to the conflict or impact with a variety of park uses including disturbance of wildlife, impacts or damage to sensitive geothermal areas, and the creation of public safety hazards posed by their unregulated use. The ban is contained in the 2014 update to the Superintendent’s Compendium. In addition, National Park Service Director Jonathan B. Jarvis signed a policy memorandum in late June that directs superintendents nationwide to prohibit launching, landing, or operating unmanned aircraft on lands and waters administered by the National Park Service. As these three instances illustrate, park rangers are enforcing the ban on unmanned aircraft operation in Yellowstone National Park. Violators could be subject to a mandatory court appearance, confiscation of their unmanned aircraft, and if found guilty could be subject to fines and other penalties. A national park may be closer to home than you think. National Park Service sites are located in every state and in many major cities, including New York City which is home to ten national parks. They are places of recreation and inspiration and they are also powerful economic engines for local communities. Throughout the country, visitors to national parks spent $26.5 billion and supported almost 240,000 jobs in 2013. Generally, 133 of the 401 National Park Service have entrance fees that range from $3 to $25. While entrance fees will be waived for the fee free days, amenity and user fees for things such as camping, boat launches, transportation, or special tours will still be in effect. Other Federal land management agencies that will offer their own fee-free days in 2015 are: U.S. Fish & Wildlife Service, the Bureau of Land Management, the Bureau of Reclamation, and the U.S. Forest Service. Please contact each for dates and details. * $80 annual pass for the general public. Montana Fish, Wildlife & Parks will host another discussion in Great Falls, Oct. 9, on issues related to bison conservation and management for Montana. FWP has assembled a diverse group of interests and a number of state and community leaders to continue to participate in these facilitated gatherings. The meeting, which is open to the public, will be held at the Holiday Inn, 1100 5th St. South, beginning at 9:30 a.m. This is the third in a series of bison meetings intended to build trust and understanding among groups and individuals as they candidly discuss and examine bison conservation and management issues and the Montana Environmental Policy Act process. This discussion is designed to review issues and possible alternatives that are being considered in the preparation of an environmental impact statement for statewide bison conservation and management. Discussion group members include conservation and agricultural representatives, state and federal agencies, county commissioners, and state legislators. Members of the Montana Fish & Wildlife Commission also will participate. The discussion will not lead to decisions beyond an appropriate range of bison management alternatives to consider, including a "no action" alternative, FWP officials said. The public comment on alternatives as presented is set for 12:45 p.m. For a full agenda visit the FWP website. With fall hiking season already in full gear, and winter just around the corner, you may be finding yourself in need of some new gear. If money's a little tight, you may want to check-out REI's current sale - which they're calling "Mega Deals at REI OUTLET". 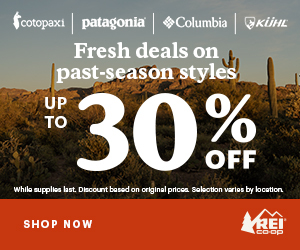 Thru October 13th REI will be offering up to 70% off on a wide array of outdoor gear and apparel. The environmental analysis and review for a proposal within to construct a fish passage barrier downstream of Akokala Lake in Glacier National Park’s North Fork District has been completed, and a decision was signed by the National Park Service Intermountain Regional Director to move forward with the project. The project is located in an area of recommended wilderness. The fish passage barrier is necessary to protect native fish populations, including the threatened bull trout and genetically pure westslope cutthroat trout, from the potentially significant detrimental effects of non-native invasive fish species, including lake trout, rainbow and possibly brook trout. The structure will prevent non-native fish from accessing the uppermost Akokala Creek drainage, reduce the expansion of westslope cutthroat-rainbow trout hybridization, and protect Akokala Lake’s genetically distinct bull trout population. The structure will not impede downstream movements of native fish. Barrier construction will occur during late summer and fall, when water flows are low. The beneficial effects to native fish will outweigh the negative impacts to wilderness character. Akokala Lake is one of the last bull trout supporting lakes on the west side of the park that is at risk of invasion but has not yet been colonized by non-native lake trout. Such status is extremely rare, not only in Glacier National Park, but throughout the Flathead River drainage. Protecting Akokala Lake against non-native invasive fish species will also help maintain the lake as an important high elevation habitat for native fish. The project is in accordance with other state and federal projects designed to conserve native fish species in the Crown of the Continent ecosystem. An analysis of environmental impacts associated with the project and review of public comments were considered before making a final decision. The environmental assessment was released for public review in June of 2014. Twelve comment letters were received; nine letters expressed support, and one expressed opposition due to concerns about impacts to Glacier National Park’s recommended wilderness. The environmental analysis and finding of no significant impact (decision document) can be found here. An environmental analysis and review process for a proposal to continue lake trout suppression on Quartz Lake and begin lake trout removal and bull trout conservation in the Logging Lake drainage in Glacier National Park’s North Fork District has been completed, and a decision was signed by the National Park Service Intermountain Regional Director to move forward with the project. The project is located in an area of recommended wilderness. The beneficial effects to bull trout, a threatened species under the Endangered Species Act, and other native fish will outweigh the negative impacts to wilderness character. The project will help protect the park’s bull trout populations, is in accordance with other state and federal projects designed to conserve native fish species in the Crown of the Continent ecosystem, and will help maintain Quartz and Logging Lakes as important, high elevation habitat for native fish faced with the stressors of a changing climate. Approximately one-third of the nation’s bull trout populations inhabiting natural, undammed lake systems are found in Glacier National Park, and the park has a critical role in the regional recovery and long-term conservation of the species. Quartz and Logging Lakes are at risk of losing their historically robust bull trout populations to non-native invasive lake trout. The project will continue experimental efforts begun in 2009 in cooperation with the U.S. Geological Survey and the U.S. Fish and Wildlife Service to suppress the lake trout population in Quartz Lake and will begin lake trout suppression on Logging Lake. An analysis of environmental impacts associated with the project and review of public comments on the proposal were considered before making a final decision. The environmental assessment was released for public review in December of 2013. Twenty five comment letters were received; twelve letters expressed support, six expressed opposition. Most of the concerns pertained to impacts to Glacier National Park’s recommended wilderness, as the project will include the use of motorboats for gill netting operations. The EA and finding of no significant impact (decision document) can be found here.